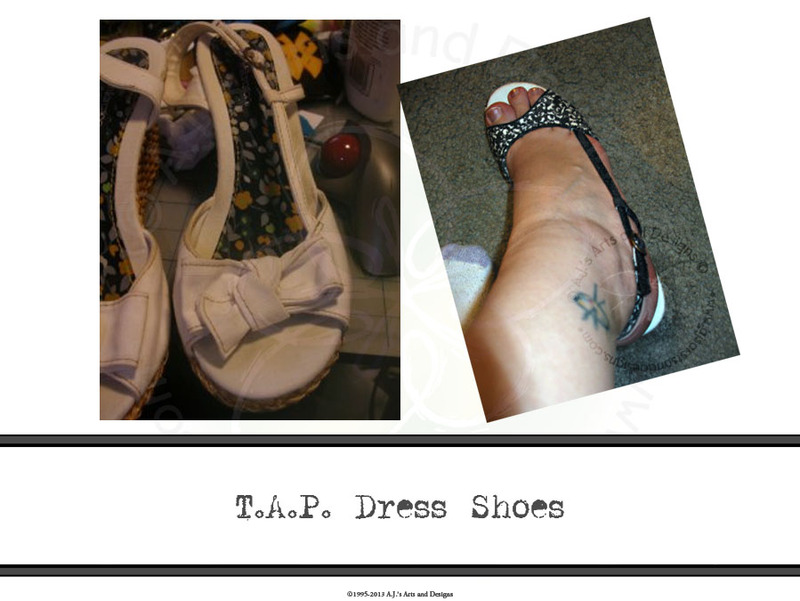 TAP Dress Shoes (this makes me giddy!) | Who Are You Calling Crafty? We have a party at the end of the month that is semi-formal (sigh) meaning up until this weekend I had nothing to wear that fit me. I have lost quite a bit of weight over the past 2 years (between diet and exercise) it is close to 75 pounds. My wardrobe is ummm… on the lacking side when it comes to dress clothes primarily because I never wear dress clothes. One of my dear friends had this beautiful summer black and ivory dress at a rummage sale this past weekend and I had to try it on. Much to my surprise the size 6P fit me. She gave me the dress but I didn’t know what shoes to wear with it. 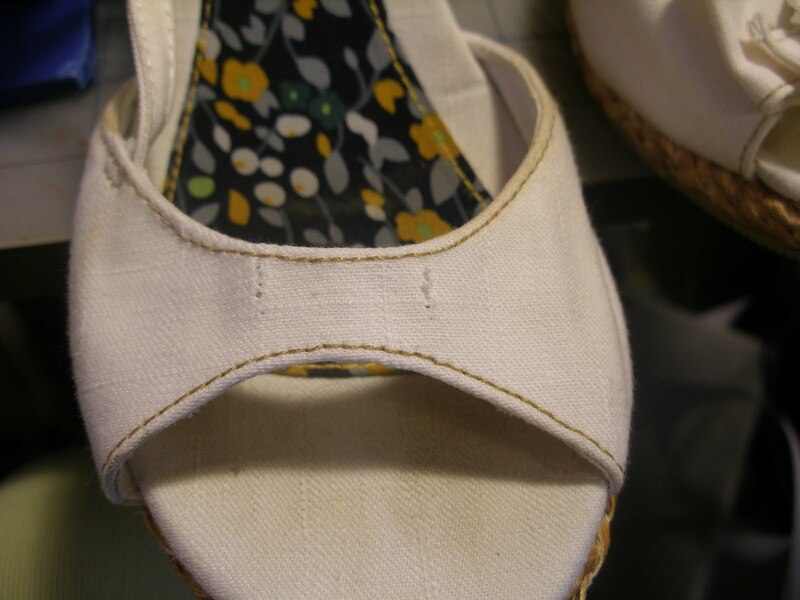 I was searching my closet and came across a pair of ivory canvas platform sandals with a bow. I am not a bow fan but I love the shoes. 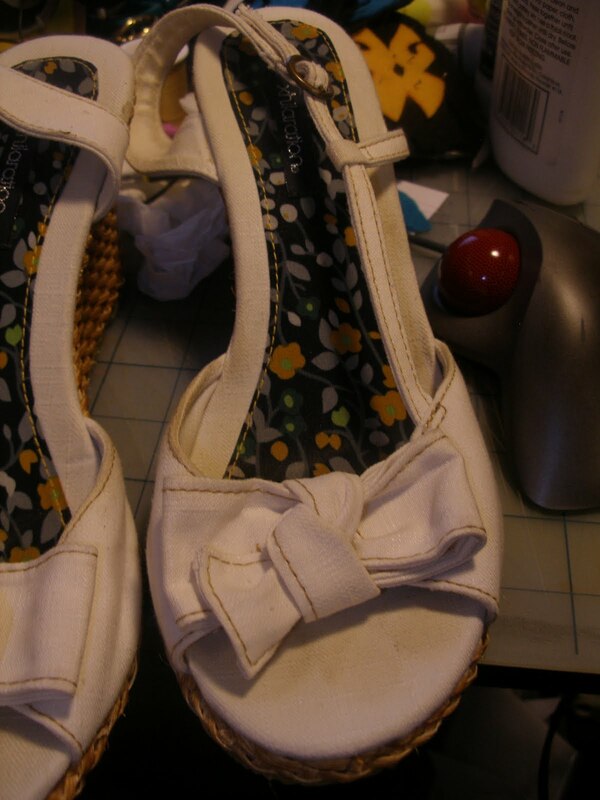 I decided to rip off the bow and add TAP to the shoes. 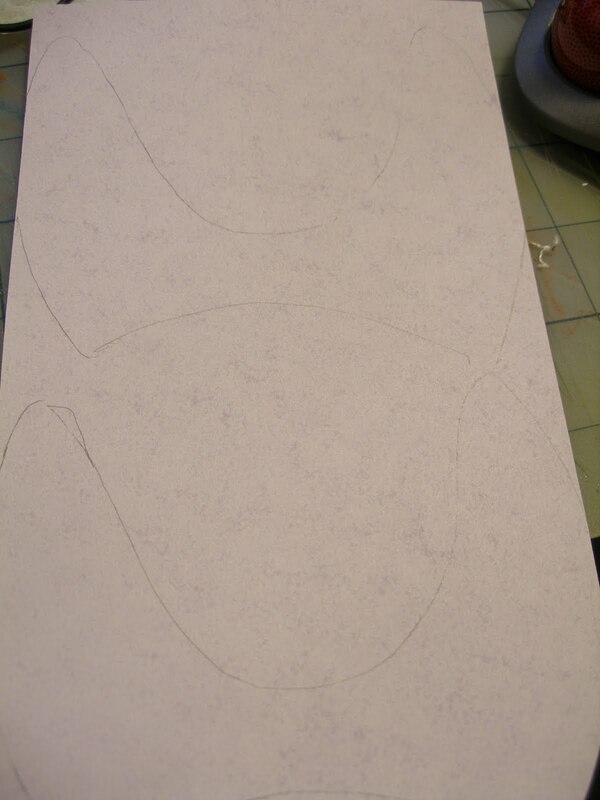 TAP – Transfer Artist Paper. Shoes with the bows – not bad I just am not a bow girl. This is when I realize the bow would come off easily. 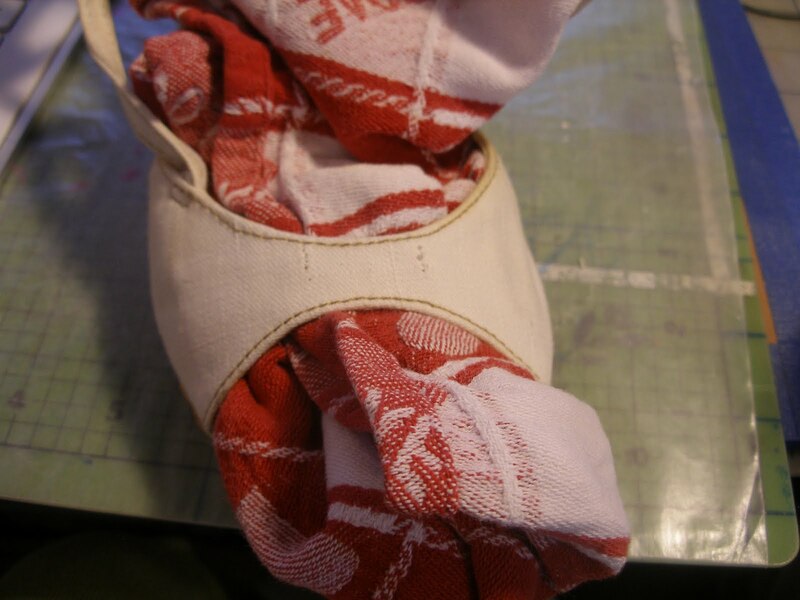 A pair of small sewing scissors and the bow was successfully removed. 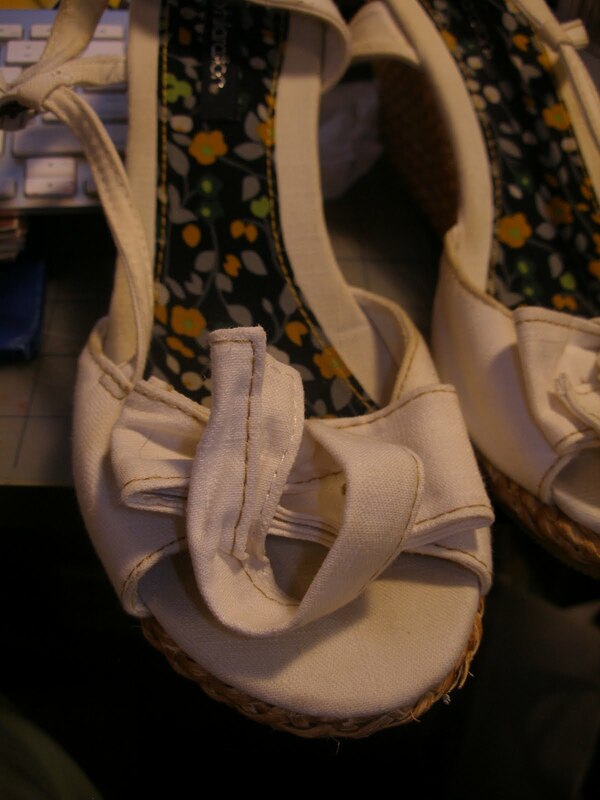 Bow removed – see they are really cute sandals. 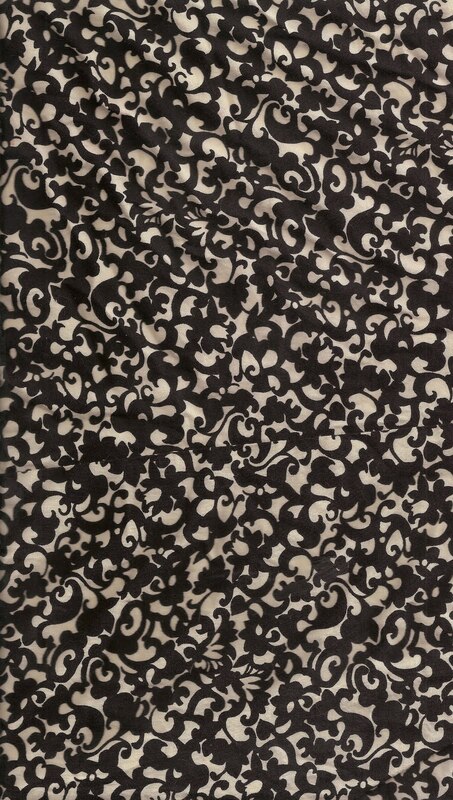 My dress that I scanned. Me with the TAP sheet. 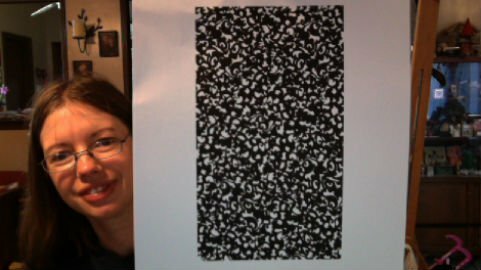 I scanned in my dress I wanted the same pattern on the shoes. I then took the scanned image into Photoshoppe and erased the “ivory” part of the image leaving only black. I printed the black image onto the TAP. 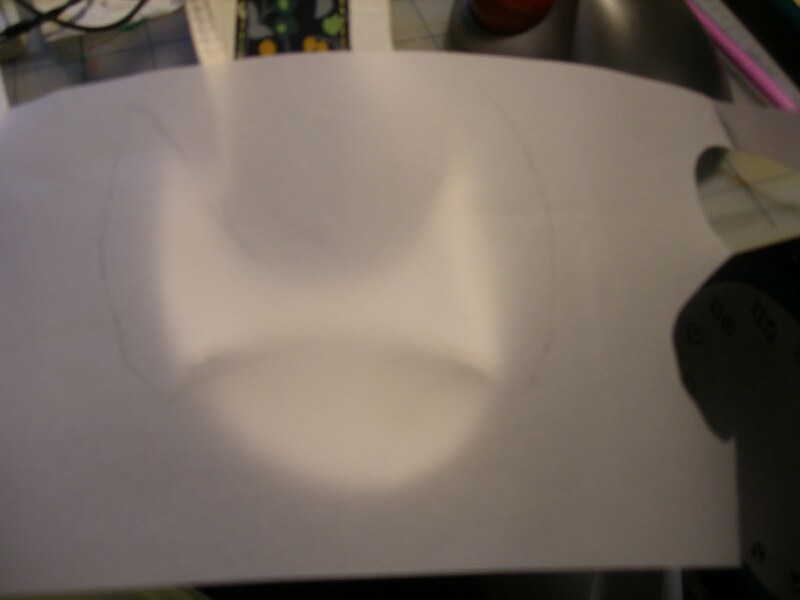 I then took a piece of tracing paper placed it over the shoe to get the basic shape. I was pretty proud of myself for this one. How I stuffed my sandal I thought it was pretty clever. The shoe after ironing the TAP – ironing is a little tricky I think I need a smaller iron I want to move the iron meaning I am smudging it in places but I am learning. I went in with a Bic Mark -it and filled in the areas on the bottom and the blacken around the edges. I love them and the fact they match perfectly with my new dress is a huge bonus. 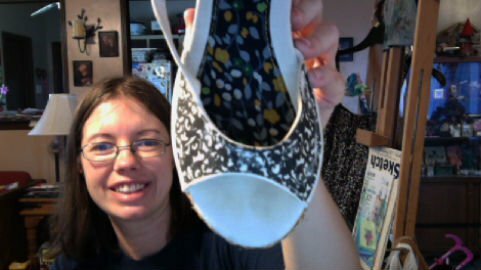 I am not sure if the shoes are finished yet, I might add a small paperclay flower to the top of them but I’m not sure. I am leaning towards leaving them be. Please ignore the lack of a pedicure for the party I plan on having one. Like I said I am leaning toward no flower I sort of like it the way it is but I would love feedback on it. Let me know what you think. 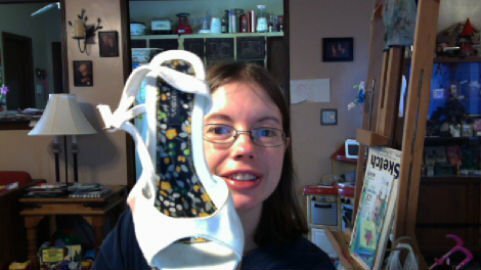 So I decided to color the white strap of the shoes black – I LOVE THEM!!! I like the black strap so much better. Black and white – see I was having fun with Photoshop. Sorry no pictures of the complete ensemble until after the 31st. The shoes look great and the black strap does look so much better. So what is TAP?